This week at Take a Word the theme is GREEN. 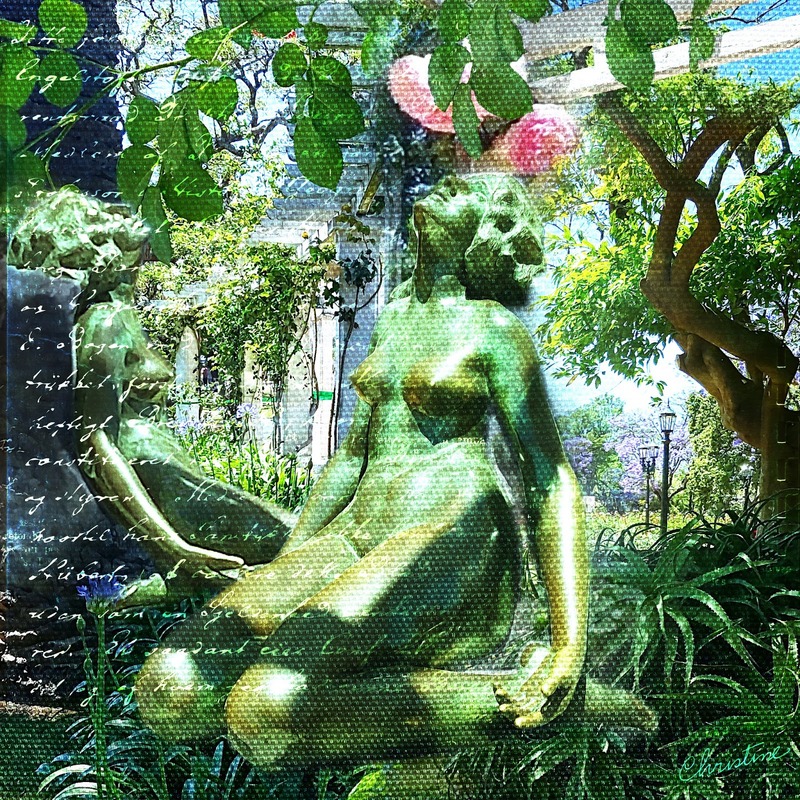 I did this by mixing four of my own photos taken in a garden (El Rosedal de Palermo) in Buenos Aires. The sculpture is called Flor de Juventud (Flower of Youth), by Pedro Zonza Briano (1928). Overlay by Studio Manu. I like the way you're using your own photos in your current work. You're doing is so well, with beautiful result! Simply a big WOOOOOW! What a amazing mixing and layering! It's so stunning. Lovely work a beautiful combination. So beautiful, Chris. I love the shades of green and the wonderful textures. I am so happy you are back at Take a Word. Oh my goodness, this is an absolute delight, Chris. So beautiful, wonderful layers that look like it is paintedon canvas. The textures and composition are perfect, and I love the pop of pink roses! A beautiful garden scene with wonderful texture and light! Your kind comments are very welcome! Seus gentis comentários são muito bem-vindos. Tema Janela de imagem. Imagens de tema por epicurean. Tecnologia do Blogger.